In the age of technology, it goes without saying that kids like love screen time. TV, video games, tablets… it’s all the rage in our kid’s worlds. But not for us parents. Sure we love our technology too. But I love to see my boys playing. Real playing, not connected to an electronic. I love seeing them run and act goofy. I love hearing their playful squeals and giggles. I gotta be honest, I don’t mind my kids being on technology but it’s for selfish reasons… since they were little, it’s been one of the only things that put them in a trance long enough to allow me to sneak into the bathroom and pee by myself. What a mom luxury. At the same time though, when my oldest son was four years old, I felt the guilt of not being a very hands-on mom to my boys. Especially since he’d been in speech/preschool classes for a couple years and LOVED learning! You could just see the joy on his face from the activities and crafts he had made. Our middle son, on the other hand, liked to be read to and color, but learning beyond that… no thanks. To help prepare them for school routines, I started working through the alphabet with them during the month of August… using activities, tracing/coloring sheets, and crafts daily to learn (or review) the alphabet. With all this hands-on fun, Dylan (our middle child) started to embrace learning and needless to say, I was thrilled! And the more fun he had, the more fun it was for me to find new, creative ways to learn and do activities together. This was all pre-electronics. And then it hit… I was approached to review a new kid’s learning app. I was really apprehensive to let the boys start getting into electronics. (We still don’t have a gaming system in our house!) However, I could see the benefits of child-directed apps that work on learning. 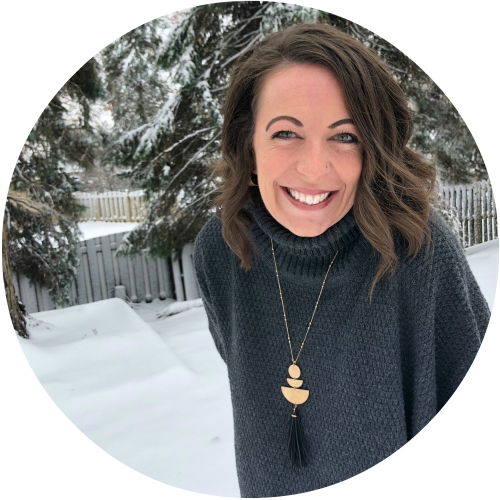 The app (which is unfortunately no longer available) used bright colors, fun animations, and classic children’s songs to promote the learning of letters, body parts, reading, numbers, and science through interactive play. So I caved and we gave it a try. It was a hit. Of the three free games on the app, the Alphabet Song was the boys’ favorite. The game’s goal was to help children learn and identify letters through matching up and popping letter balloons. If the wrong letter balloon was chosen, the balloon greyed out. However, when the correct letter was selected, the balloon popped and rewarded the child with a picture of an item starting with that letter. The app was first tried out on Dylan. I figured if my learning reluctant child liked it, we were onto something. I even tried it on him on a day that he was feverish (which in our home means clingy and crabby). Let’s just say that the kid more than liked it. He lit up. And so did I.
I loved that although he made several incorrect choices when picking balloons, he didn’t get discouraged. With a little “chirp” (hint) from the game, it kept him from getting frustrated and after every 6 letters, a celebration screen came up to recap all the letters he has just worked through. Very well done! But we didn’t need an electronic game to have learning fun. We just needed twenty-six balloons, a marker, tape, a straight pin and flash cards. 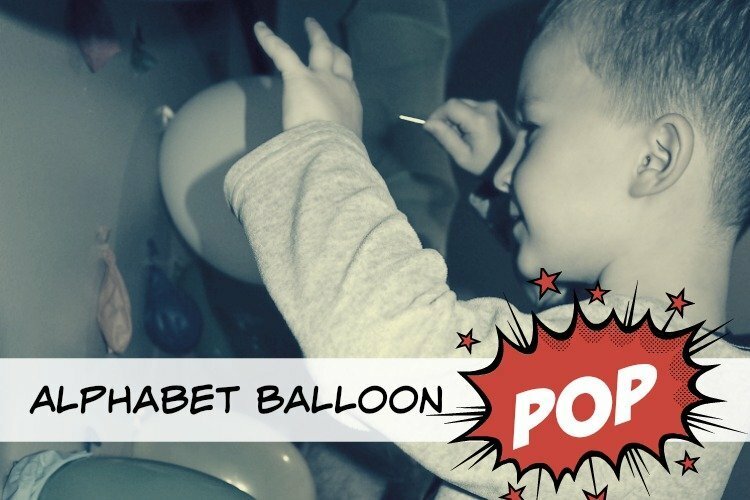 Yup, I took the app’s same alphabet game approach and made it hands-on with the Alphabet Balloon Pop. With a wall full of colorful balloons, I called the boys downstairs to the playroom. Let me warn you that the excitement will probably provoke some serious happy dancing and squeals. So I did take the tablet downstairs with us to show them we were going to do the same alphabet game they already loved, but this time by popping real balloons. I had the boys take turns. I didn’t want it to become a WWF wrestling match trying to get to the right balloon first. Especially since they were using a little sewing pin to pop the balloons. And switch… next kid’s turn. The alphabet game played out beautifully. And loudly. The sharp pop of the balloon gave them a startle, but it ensued in laughter and screams of excitement. We did have to tame down the screams, but the excitement stayed high through the whole game. 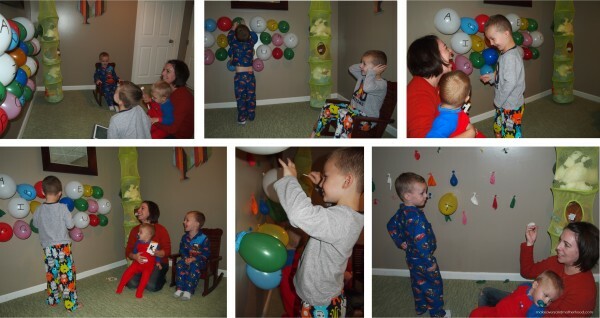 Even after the balloons were all popped and hung limp on the wall, our fun didn’t end. The boys had so much fun we were even able to sing the ABC’s a couple times and review some of the letters on the flashcards. I have to say that I’m not necessarily the best at coming up with kid activities, but this one was a blast! Literally. And they didn’t even realize they were learning along the way. Moms, I encourage you to do the same. With all the alphabet games and number apps available, turn their digital learning into a family fun activity. You’ll love that your child isn’t tied to their electronic and they’ll love that momma took the time to make a cool new game for them. All it takes is a few balloons and a lot of air. This post was originally sponsored by SumahoMAMA, using music and play to encourage discovery and development! All opinions expressed in this article are my own. Great idea. I will be doing this! Visiting from TGIF linky. I've got a kiddo that's struggling with letter recognition so I'm on the hunt for great engaging ways to help him learn. This would be perfect. And you could easily adapt it to teach other things too - maybe math facts for my older boy. It's simply genius! I'm featuring this activity tomorrow on my blog at the After School Linky Party. Stop by and keep sharing your great ideas! Wonderful! Thank you for featuring me! I am honored! 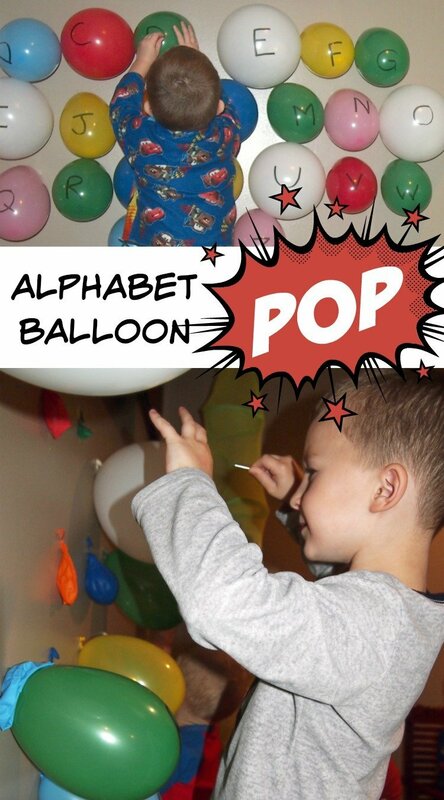 My boys had so much fun doing the balloon pop and these types of hands-on learning activities seem to really help my middle child get excited about learning! We still have a ways to go with him on letter recognition too, but each activity like this gets us a little further. I hope you (and your readers) enjoy! The balloon popping definitely makes the activity extra fun! Thanks so much for sharing at After School. You are welcome! Thank you for hosting the linky! We had lots of fun with it and are glad to share!